If you have recently had a fire in your home or business, it is time to call the professionals who can provide restoration for you quickly. SERVPRO of Chico/ Lake Almanor can provide an emergency board up, tarp off, or fencing for your home or business- 24 hours a day, 7 days a week. There is no job too big or too small. If the fire department came out to extinguish the fire, you will most likely have water damage on top of damage from the fire. Our trained technicians are ready to go so we can begin the cleanup process for you. We can provide debris removal as well as drying for your structure. We also provide reconstruction services for when you are ready to make it "Like it never even happened." We know how overwhelming it can be to recover after a fire. We are here to help you every step of the way. When fire and water damage strikes, a fast response is critical. We’re dedicated to responding immediately, day or night, to your Chico home or business. A faster response helps to prevent secondary damage and to reduce cost. We live and work in this community too; we might even be neighbors. 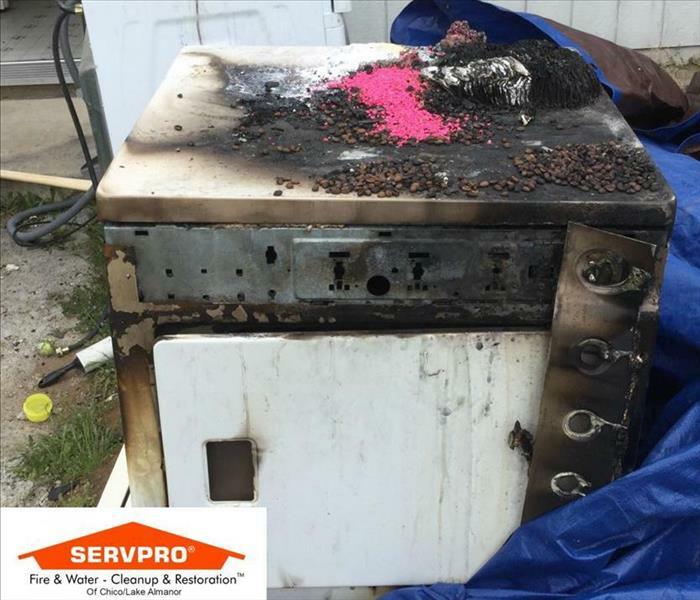 As a locally owned and operated business, SERVPRO of Chico / Lake Almanor is close by and ready to respond to your smoke or fire damage emergency. We are proud to be an active member of the Chico community and want to do our part to make our community the best it can be.